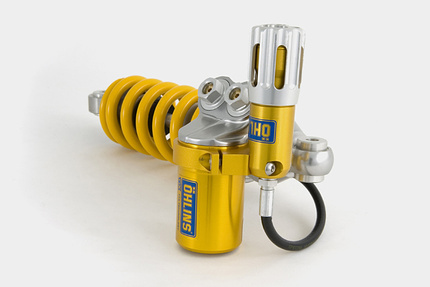 Home » News » Only 100 units: Limited Öhlins MotoGP-replica package! 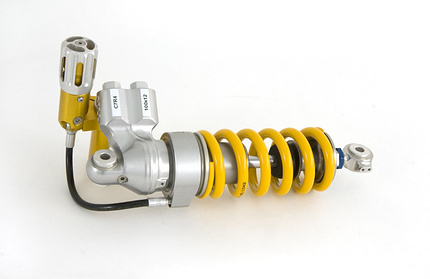 Only 100 units: Limited Öhlins MotoGP-replica package! Öhlins Racing wants to celebrate its long lasting commitment in the MotoGP with a very exclusive Replica of the most recent TTX technology. 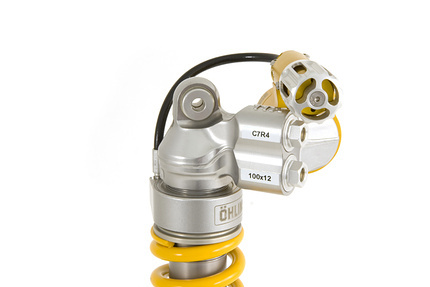 This unique product will only be available to the Öhlins Racing contracted brands that compete in the most respected series in the world; the Yamaha R1, Kawasaki ZX10R, Suzuki GSX-R1000 and the Ducati 1098/1198 models. The Replica is based upon the extremely popular TTX36 shock absorber but some standard parts have been upgraded to genuine racing material. The compression and rebound valves have been replaced by genuine MotoGP light-weight aluminium valves and all shock absorbers have unique stickers with setting information prepared by our race mechanics to ensure maximum performance and handling. The technicians have placed the hexagon adjustment screw driver for the valves in the exclusive state-of-the-art box. To make the TTX36LE (LE=Limited Edition) stand out at the local café Öhlins race technicians have added an anodized spring preload adjustment knob machined from aluminum. To top it all off Öhlins Racing has designed an exclusive, limited chronograph watch with a precise Citizen movement inside. 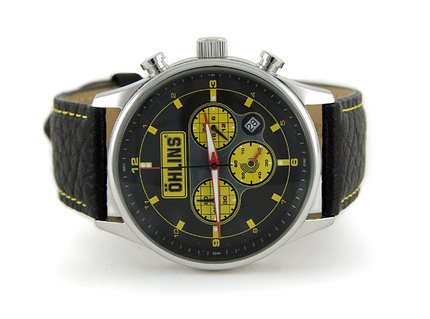 It has a black leather strap with the distinctive Öhlins Racing original yellow livery. The watch will only be made in a restricted number and will only be delivered inside the TTX36LE box. The total quantity will be 100 in total... no more... no less. The price is 1.615 Euro.